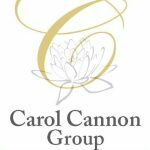 “Carol Cannon fills the need to blend the ancient art of Feng Shui, Sound & Healthy Building practices, to create healthier, peaceful, joy filled and successful living and working environments for all”. Our mission is to help people achieve their business and/or personal life goals through analysis of the building where one lives and/or works. The end goal is to go from Chaos to Calm.